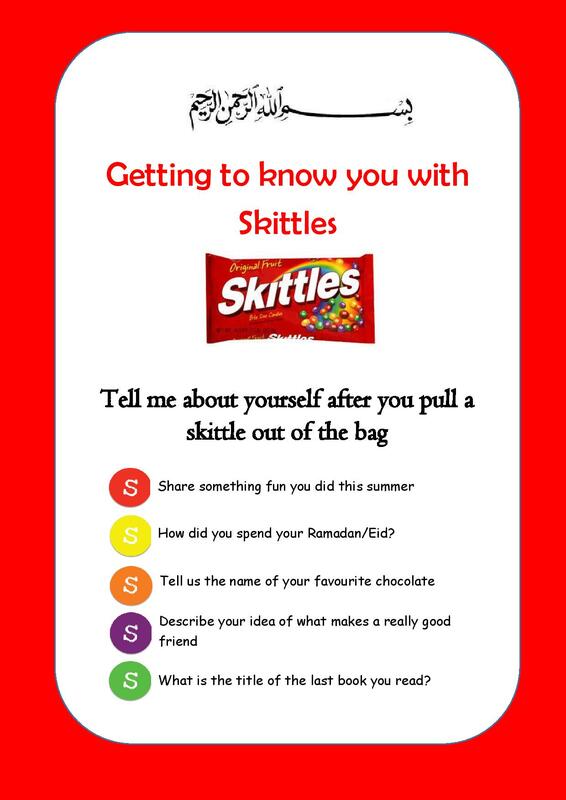 So I’ve been looking around for ways to start my first lesson of the academic year, and I thought it might be a good idea to start with something fun before we discuss classroom rules, and set my expectations for the year. That is the kind of atmosphere I want in my classes – between fun and serious. Inshallah kheir. 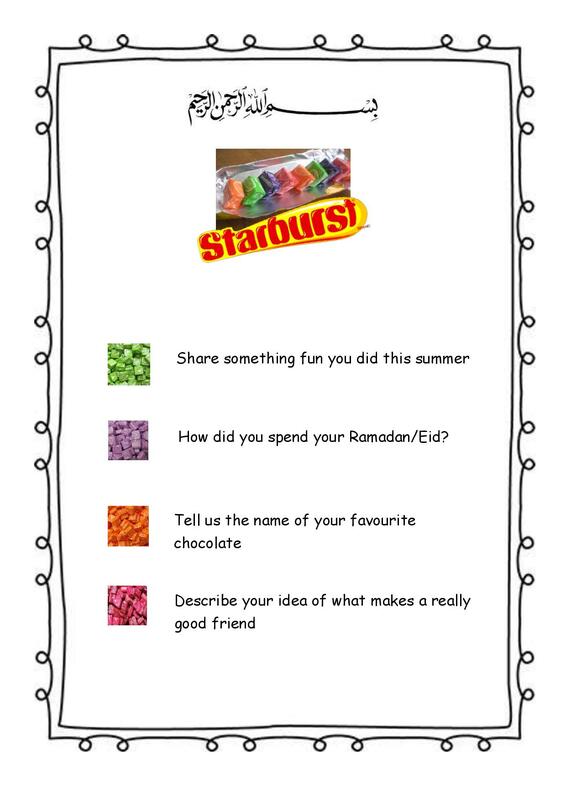 This entry was posted in Organisation and tagged arabic, class, classroom rules, first lesson, fun, ice breaker, islamic, poster, quran, starburst, sweets. Bookmark the permalink.